Buy grind cup(s) – a simple stainless guy from a hospo store will do, or you can buy a cup from the likes of Artisan Smith which is designed to fit directly into your portafilter. It’s best to have at least two of these dosing cups. Buy jam funnel – depending on the cups you’ve bought you may need a jam funnel to help get the grinds into the portafilter. This method can also help with distribution. Equalise cup weight – this is easy enough; work out the heavier cup & add some material to the other one to make them weigh the same. Gaffa tape or blu tack work very well for small differences. All right! We now have 2 cups that weigh the same, a way of easily getting the coffee into the handle & a grinder that is prepped and good to go. Time to start implementing this on bar! Tare grind cup on scales. Pop the first grind cup on the grinder and start grinding. Remove the first grind cup and check dose. 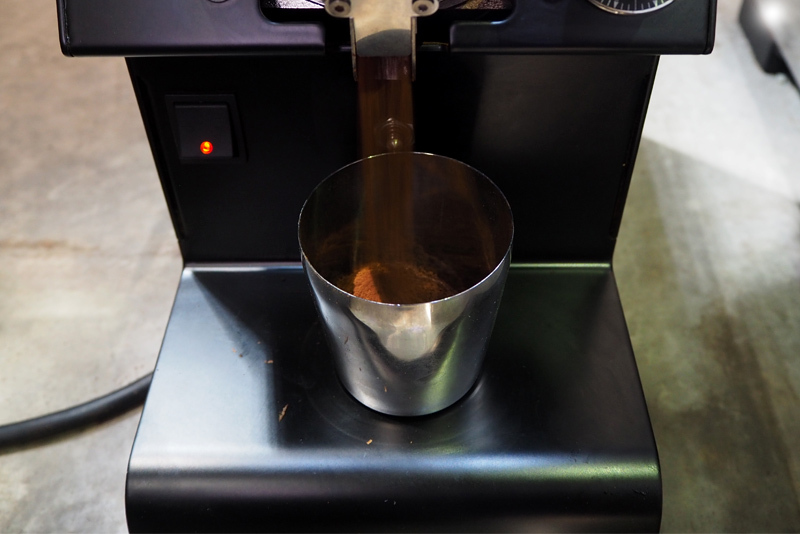 Place the second cup onto the grinder and start grinding while the first dose is being checked. Place coffee from the first cup into the handle, distribute & tamp. Move the second cup ooff the grinder & onto the scales. Place the now empty first cup back on the grinder and start grinding while the second cup is on the scales. Check dose in the second cup, place coffee from the second cup into the handle, distribute & tamp. Reap the benefits of killer workflow. If this all seems a bit daunting or if you’d like to talk workflow, give us a buzz at the office to lock in a training session. Alternatively shoot an email to training@singleo.com.au – we’d love to help you out!